‘Our cultural relationship with China is more than four centuries old. However, mission of both Sri Lanka and China today is limited only to a trade. Sri Lanka’s both geographical features and geographical diversity are a great help to initiate many projects. The service rendered by Sri Lanka Chamber of Commerce for fourteen years in strengthening business relationship between Sri Lanka and China has to be commended. 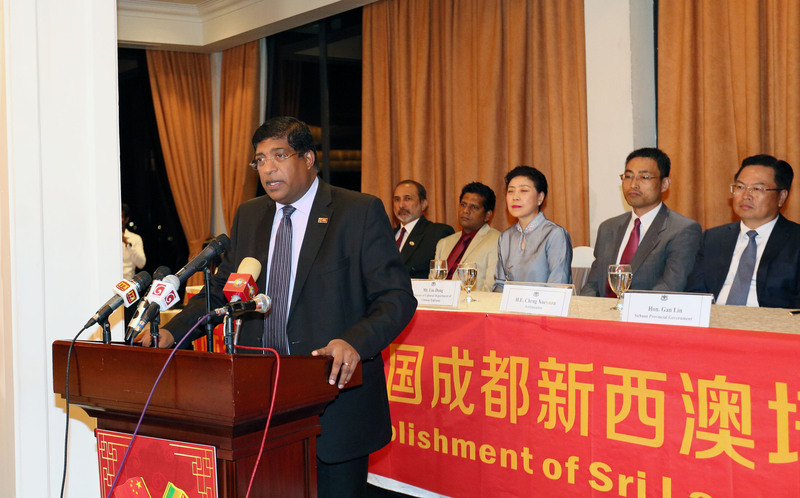 It has been proposed to initiate this program in order to develop Chinese knowledge and proficiency of Sri Lankan, under the direct supervisions of Vocational and Training Institute of Sri Lanka and the Presidential Secretariat with a direct guidance of both Sri Lanka and Chines Investment Boards. It is our aim to create a good future for all citizens of Sri Lanka, through this program’ said Ravi Karunanayake, Minister of Power, Energy and Business Development. The Minister expressed his view while participating as a chief guest in inauguration ceremony of 2013-2019 program on vocational skills and youth mobilization implemented by the Department of Public Entrepreneurs Career Guidelines, held yesterday, in Kingsbury Hotel at Colombo 07, with a view to improve the knowledge of Chinese Language of un-employed graduates, public servants, private sector employees, tourist guides and tourist advisors in Sri Lanka, in order to strengthen the bilateral relationship between Sri Lanka and China. 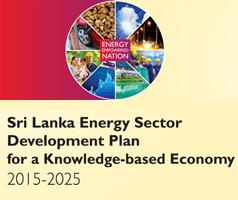 ‘Within last ten years, Chines investments have increased in great amount in Sri Lanka. When compared to other countries in the region, it is in higher level. China has made many foreign investments to develop infrastructure facilities including transportation, electricity and power. What the importance here is to develop International Port City Project in order to achieve the aspiration of transforming Sri Lanka into a Hub in Indian Ocean for finance and other activities’. ‘Norachchola coal power plant project related to power generation in Sri Lanka which associates with Chinese relationship is a very important one. Through this project, whole country is benefitted to provide electricity and this is a great victory that we have achieved. We were able to provide sponsorship for Chines mega investment projects and I am proud of it. However, I am paying my particular attention on renewable energy sources like solar power and wind power. I believe that the government of China will perform a key task in this regard. I am further expecting to get you connected with us to make investments in renewable energy sector where you can achieve your business aspiration as you prefer and where the friendship between Sri Lanka and China can be strengthened’. ‘Development of a plan to build up a group of people who can talk Chinese Language is very important. Through this, we can proceed our present projects and proposed projects easily, not only that but also increase investments in a great amount between two countries. Development of a plan to train graduates where they can seek job opportunities as Chinese Language translators and English-Chinese teachers, and training youths in Sri Lanka with collaboration of Chines companies and institutions where such youths can be employed are the key objectives of this program’.